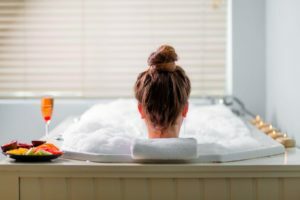 If you’re a honeymooner, an incurable romantic, or someone who revels in a little glorious seclusion, we have three great getaways for you in KwaZulu-Natal, South Africa. All are private, remote and romantic – splendid spoils for anyone intending to find an idyllic, private hideaway for romance. Sleep deeply in a sand forest on the edge of a lake, soak in a tub set in pearl-white sand under the stars, and spend idyllic days walking in raffia forests, canoeing on beautiful channels, and snorkelling at a secret paradise where the Kosi River meets the big sea. 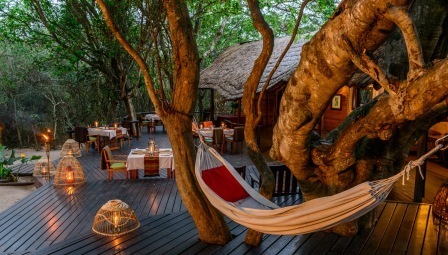 This is the kind of getaway that awaits you at Kosi Forest Lodge, a wonderful nature hideout tucked away between the trees beside Lake Kosi in KwaZulu-Natal. 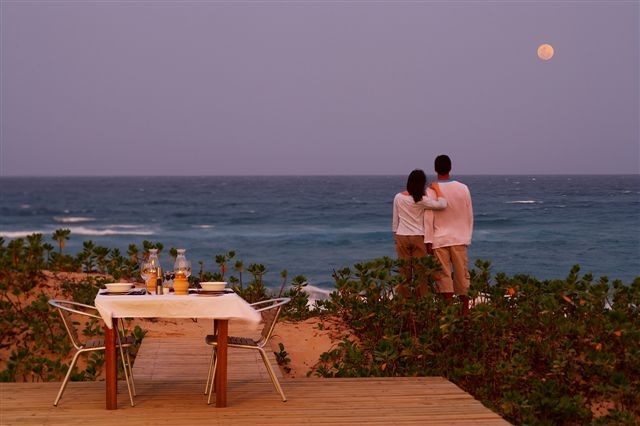 The lodge is hidden away in a wilderness that forms part of the Isimangaliso Wetland Park. It’s the only private lodge in the Kosi Bay Nature Reserve – one of the world’s recognised jewels, and it’s one of South Africa’s best ecotourist destinations. The Kosi Bay Nature Reserve encircles the rare lake system of Kosi Bay – one of the best-preserved estuary systems on South Africa’s Indian Ocean coastline. The reserve is a utopia of crystal waters, swamplands and coastal forests alive with birds. Hippo and crocodile live in and around the lakes, whilst all manner of unusual fish, plants and animals inhabit the reserve. Mail us. 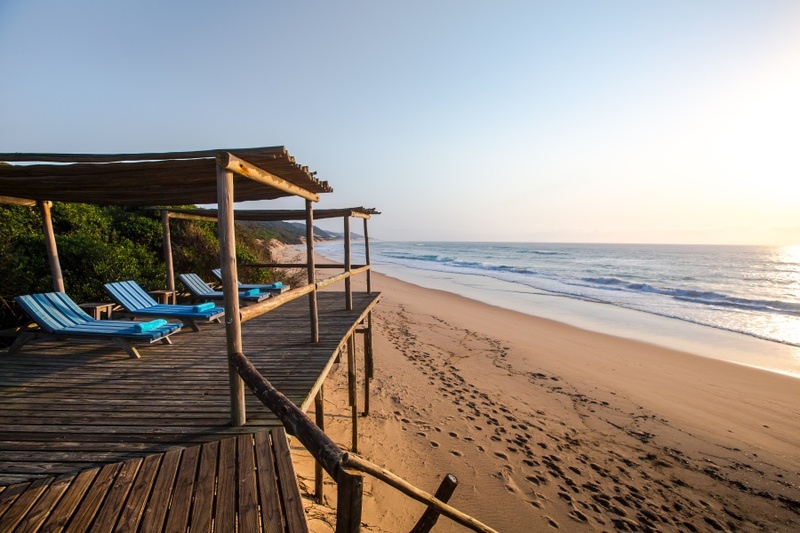 Truly exquisite and hidden far away the crowds, is Thonga Beach Lodge at Mabibib Bay on the North Coast. This romantic getaway is set in dense dune forest just above a pristine beach that few people are lucky enough to visit. The luxury chalets are no more than a few steps away from the beach. And it is on this beach that huge turtles come to lay their eggs each year. Between November and February, Thonga’s guides will take you on unforgettable night-time turtle trips to watch the egg-laying process and to see new hatchlings making their first journey down the beachsands to the ocean. Diving, kayaking and swimming with dolphins, whale sharks and manta rays are also part of Thonga’s offering, along with sunbathing and swimming on a magnificent stretch of coastline. Mail us. 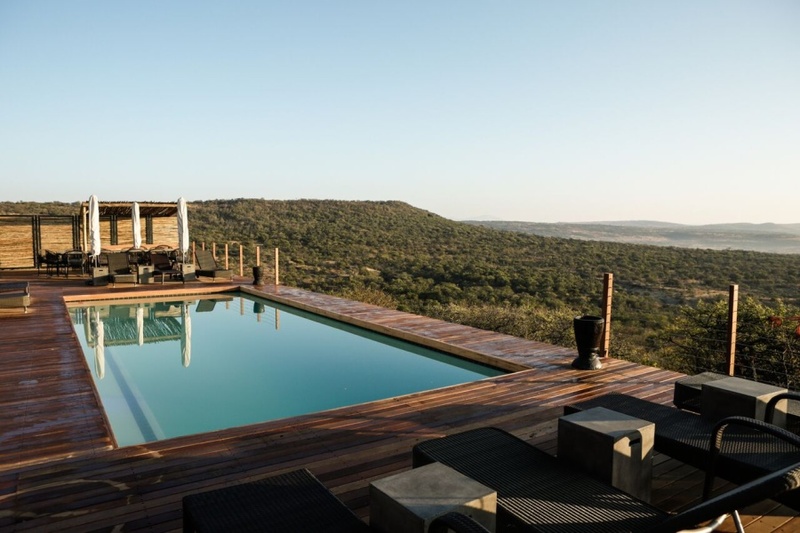 Nambiti Hills Private Game Lodge is an exclusive, five-star luxury safari lodge hidden away in KwaZulu-Natal’s Nambiti Game Reserve in the Ladysmith area. Glass-enclosed dining and leisure spaces are set high for stunning views of the bushveld and the rolling hills of a quintessential African landscape. 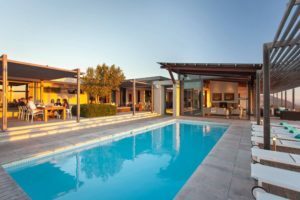 A gorgeous pool deck, wide verandah and bar are superb vantage points from which to appreciate the reserve. Luxury suites have exquisite interiors in natural tones – including open-plan lounges, and private viewing decks. Enjoy the region’s wildlife on sunrise and sunset game drives, and refresh mind, body and soul at Zolile Spa. It’s very stylish and ideal for a romantic getaway or honeymoon. Mail us. Mail us or call +27 21 797-7122 (international) or 0860 102 907 (local).